If there’s one person who has more celebrity friends than anyone, it’s Ed Sheeran. 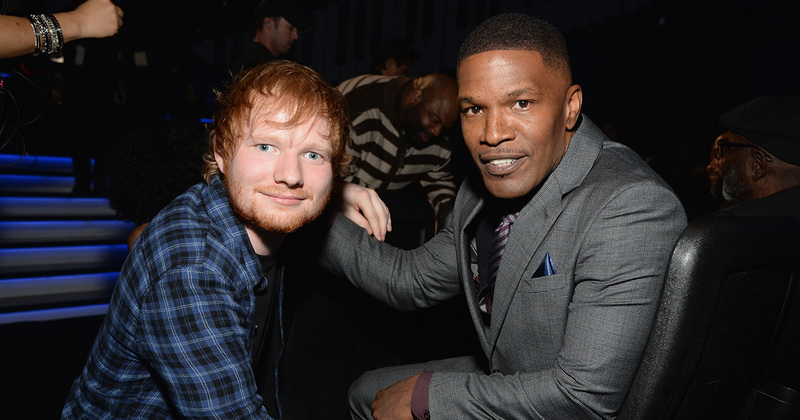 And now Jamie Foxx has shared how he helped Sheeran when the singer was just starting out in his career. Speaking at the premiere of his new movie Baby Driver, Foxx told the Press Association that, before Ed Sheeran went on to become one of the biggest artists in the world, the British singer would crash on his sofa. Continuing, the actor said that was just how his family rolled, noting that he’d done the same for Nick Canon and Ne-Yo. Indeed, metro.co.uk notes that Foxx even invited a fledgling Ed Sheeran onto his radio show back in 2011, so it seems that he’s certainly a man who likes to nurture new talent, which we love. Of course, Ed Sheeran has since gone on to become one of the biggest male pop stars in the world, and sold out a massive world tour in support of his third album ÷. The singer also boasts heaps of famous friends, including Russell Crowe, Justin Bieber, James Corden, and even some British royalty. Needless to say, if you’re a struggling artist trying to find your way in the world, it can’t hurt to give Jamie Foxx a call.